Blocked Drains Ware and surrounding areas cleared for a set price 0791 7852384 by Chris. Over 28 years drain clearance and cleaning experience of blocked drains in Ware and clearing blocked sinks / toilets / sewers. 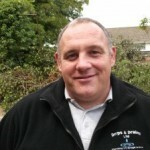 We give our customers a set price over the phone for clearing blockages, so you are aware of our charges before we even arrive, we have been clearing blocked drains in Ware for over 28 years and as a independents we offer a fast and reliable service that you may not get from bigger company’s. As well as provide our drain clearance / cleaning service’s we can also provide you with a drain inspection using our drain camera which is a self levelling camera and all inspections can be recorded if required on a memory stick for viewing on computer or sent in a email. If you have any drainage issues or blocked drains Ware please give us a call to discuss your problems , we are only at the end of a phone, we cover everything drainage from rats in drains to drain repairs and surveys to drain installations.